Sterling climbs above the psychologically significant 1.40 level against the dollar overnight. During early trading in Europe, sterling drops back to around $1.3950. The pound has rallied aggressively during 2018, and is the best performing G10 currency over the past six months. 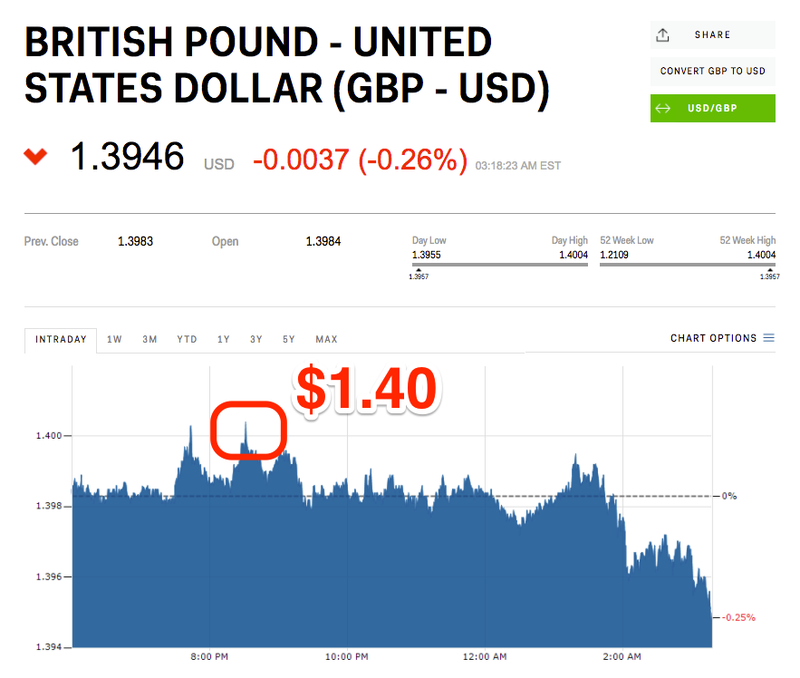 LONDON — The pound moved to its highest level against the dollar since Britain voted to leave the European Union in June 2016 overnight, climbing above the psychologically significant level of $1.40 in the process.